Help Andrea and Tim Reach Their Goal! Andrea and Tim train together whenever possible. This helps them see if they are on pace as a team with their speed and running style. When they aren’t training together, they plan in order to figure out key items that may be important during the race, such as how long they take for rest breaks. Still, although they are running the same ultramarathon, Andrea and Tim have very different training methods based on their individual needs. Andrea trains five to six days a week for the big day. Training includes walking and/or running to and from work and running long distances on weekends to get her body used to running tired. Andrea also takes a boot camp style class twice a week at ALP Training Institute in Stoney Creek to help with functional fitness and overall strength. The class also makes her stretch more than she normally does on her own which will help improve her flexibility. In contrast, Tim has been training very little these days. Although Tim loves running trails, since the Last Annual Vol State race is all road, his workout has been modified to reflect this. He spends the majority of his training time on roads to ensure that his body and feet are ready. “Road running also affects our muscles and tendons and joints in a different way than trail running, so adjusting our bodies to this is important,” Tim adds. One thing Tim loves about running is the simplicity of it – shirt, shorts, shoes. Given his light workout plan, Tim’s body likely won't be as trained as he would like, but his mind is ready. Pledge by Requesting a FREE Hearing Test in the Form Below! You may think that a training diet for an intense ultramarathon would consist of extremely healthy meals, but the Vol-State 500k run is no ordinary run. The path each runner embarks on presents limited healthy options for Andrea and Tim to enjoy. Gas stations and fast food restaurants are scattered along the route, so our runners must grow accustomed to eating junk foods to sustain themselves. For Tim, this is a familiar world, but for Andrea, a drastic change to her usual diet is needed. So what other dietary challenges do our runners face? Andrea has food allergies – she will need to avoid foods that are high in lactose, while Tim will struggle to keep properly hydrated as he sweats heavily when he exercises. It is clear that this run is not for the faint of heart, (or the faint of stomach!) but we are confident that our runners are up to the task. Andrea Sloan chooses to live life with an adventurous spirit. She moved to Europe in her 20s, served with the United Nations Mission in Kosovo, and returned to Canada in her early 30s. 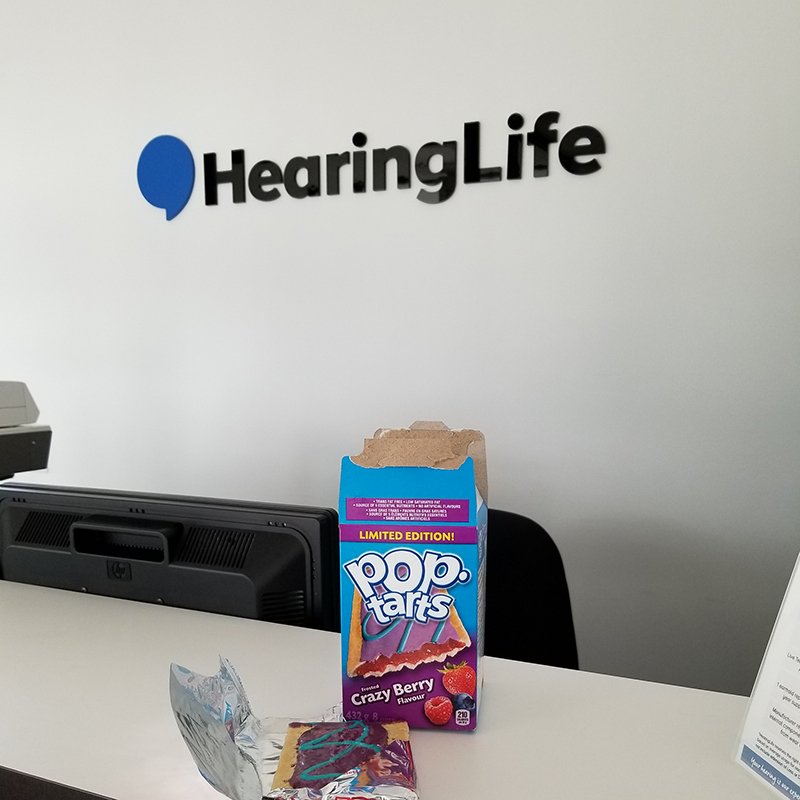 Now, as a 47-year-old Hearing Practitioner, Andrea relates to her clients in a special way: she too wears hearing aids. 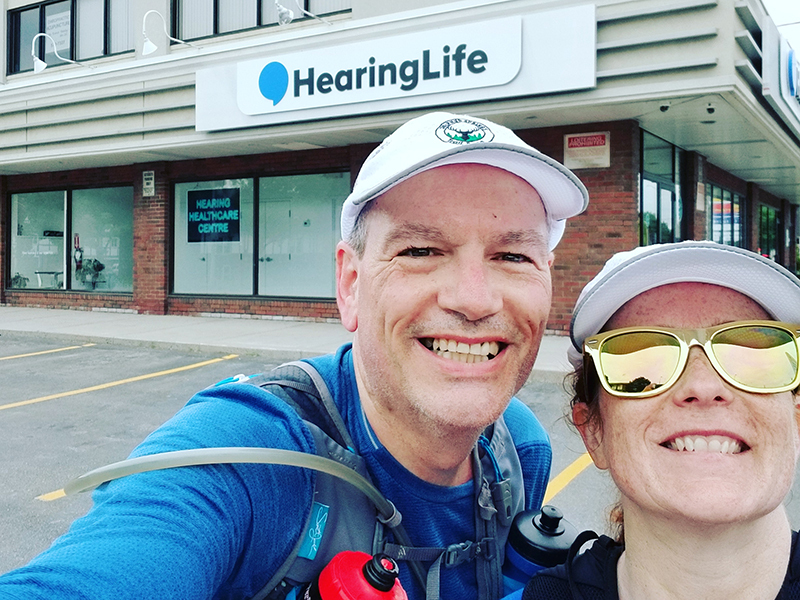 So, it is fitting that Andrea would take one of her long time passions (running,) and use it to raise hearing awareness. This isn’t the first time that Andrea has run for a good cause. Andrea started running marathons (42.2km) in 2007 and ultra-marathons (over 50km) in 2008 when she decided to run Marathon des Sables, a six-day stage race through Morocco, to raise funds for spinal cord research in honour of her best friend who had broken her neck, resulting in her becoming quadriplegic. She also runs marathons and shorter distances to gauge her fitness level and to test out new gear such as shoes, running packs, etc. But most importantly, Andrea enjoys pushing her limits and seeing where that limit may be. She loves that tired, sore feeling after a good run! Among the marathons Andrea has run two urban ultras: Berlin 100 and New York 100-- both of which are 100-mile races that take place in their respective cities. She also ran some great local races around the Niagara-Hamilton area. 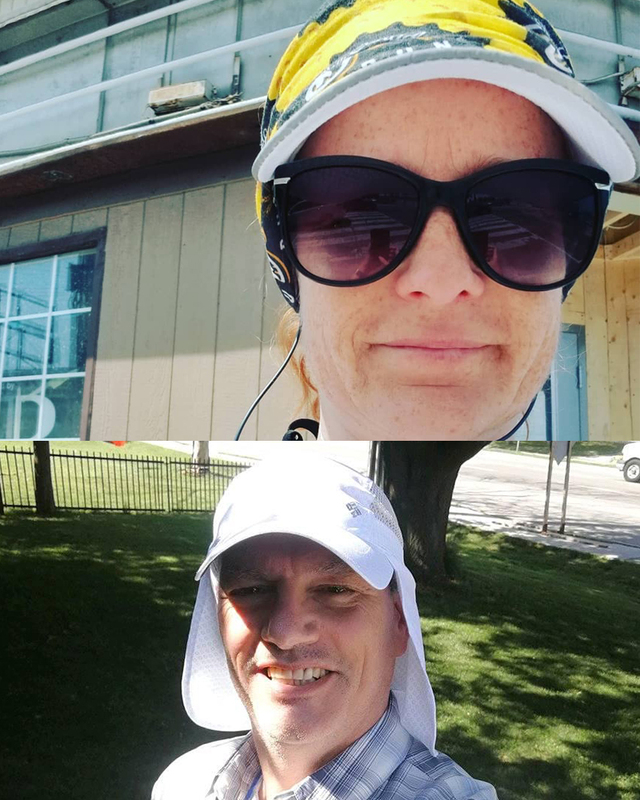 This past spring, Andrea ran in two American timed races: Amy’s Amigos Run, (a six-hour, 2.2 mile out and back hill repeats,) and a BPAC six-hour classic. The sun - Andrea will have to stay on top of her sun block because she burns easily. Wearing sun block will be almost as important as staying hydrated during the run. Food allergies – There is plenty of junk food along the race course. Andrea has food allergies and doesn’t really eat junk food. 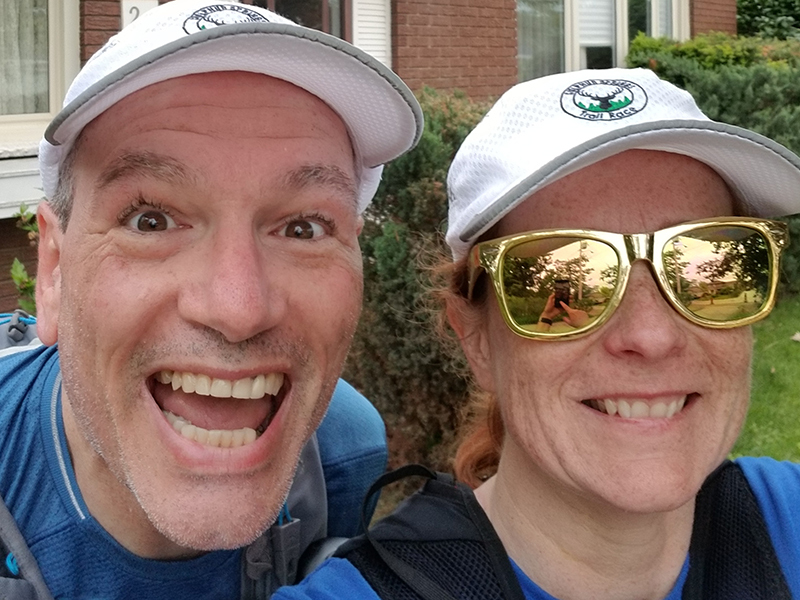 Ultimately, Andrea’s goal is to finish the race upright and smiling and to harness some of the attention that such an extreme race attracts to raise hearing health awareness. If you have ever run the Around the Bay Road Race in Hamilton ON, you have likely seen Tim Nelson. Tim started running as a way to get to school faster so he could see his friends. Now he runs so he can enjoy more junk food. All jokes aside, Tim enjoys the challenge of running any distance. For him, they all have their own challenges: shorter distances are all about speed, while longer distances are often simply about survival. Tim is a senior manager in the computer field, leading a great team of project managers in a utility company. It is a slightly different challenge than running long races, though in many ways, he uses the same skills; at the end of it all it is about succeeding as best you are able with what time and preparation you have had. Impressively, Tim has been running races since he was nine years old. His first marathon was in the late 90s, and his first ultra-marathon was seven years ago in California. His last race was the Chilly 1/2 Marathon in Burlington a couple months ago. But Tim will face his greatest running challenge at almost 54 years of age: The Last Annual Vol State. It is, by far, the longest race he has ever tried. It will be both a physical and mental challenge unlike anything else. For Tim, 505 km is a crazy distance to even consider, and doing it without any support and on hard pavement is just nutty! Jokingly, Tim anticipated putting up with Andrea for 500km as his greatest challenge. Previously, he and Andrea ran The Great New York 100 mile Running Exposition together. Primarily, Tim is looking forward to having fun and learning about new people and places. He has never been to Tennessee and this race will definitely be an opportunity to explore. He is also looking forward to celebrating the race’s completion and returning home to his amazing wife Kathy at the end of it all so that they can plan a honeymoon.